Best organic shampoos that could totally transform the looks of your hair in an instant. Organic shampoos are the best way to keep your hair strong and healthy. There are many brands that go for less chemicals and are sulfate free, and use natural ingredients. If your are going for organic ingredients this option would be more easier to obtain. But if you are looking for a true and pure organic shampoo, the only way is to do it is with your own hands at home. Help thin hair regain its vitality and make it grow faster with this do it yourself organic shampoo. Mix all the ingredients together and let it sit in a glass jar. This shampoo will prevent thinning and promote hair growth. After a month of use you should see the evolution of your hair. The treatment should continue for at least 3 to 4 months. Panthenol acts like a natural silicone, coats the hair giving it a more stiff feel. 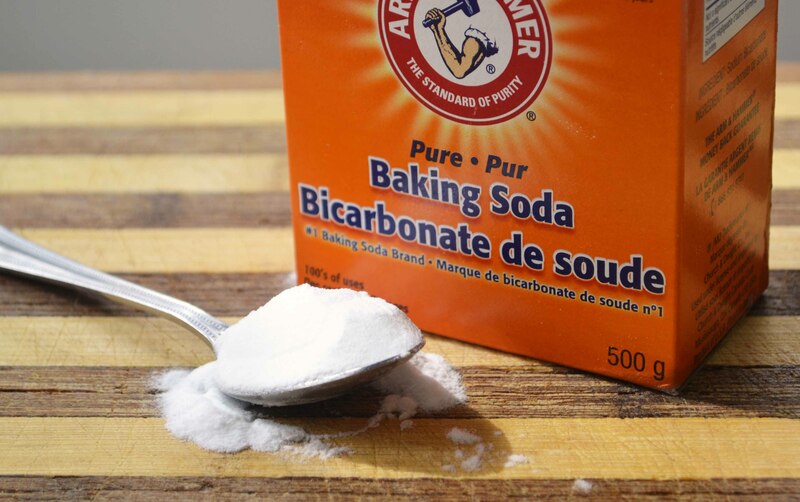 Baking soda is an amazing ingredient to fight dandruff and excess of sebum,and could be one of the best organic shampoos and is very easy to make. It cleanses the hairs scalp very well and works as a great cleanser for curly hair too. It is very fast and easy to make, as all you have to do is mix a tablespoon of baking soda with one or two cups of water and apply it like a regular shampoo. You might enjoy the results so much that you will get hooked on it. Mixing the cleansing properties of lemons and the nourishing ones of cucumbers could make you forget about your sinthetic shampoos. This could also work as a treatment for dry scalp. So if you decided to give it a try just peel one lemon and one cucumber, mix them in a food processor until they get a smooth consistency that you can use as a shampoo. Scrub your scalp really good with the paste then rinse very well. Make sure you put more effort in rinsing, as lemons tend to cling on hair. If you are on the go and can’t really wash your hair every day or every other two days, or you are simply to tired to wash your hair, then dry shampoos are a must. But why spend money on dry shampoos when you have a less expensive option: corn starch. Pick a package that suits your needs and dab it on your roots whenever they start looking oily. Brush you hair so you get the excess even and there you have it. If you are among those less fortunate people that have fine flat hair or if your hair is thinning corn starch might save you. Create a mix with one tablespoon of baking soda and a cup of water and add in it cornstarch until the paste gets as thick as you want it to be. Replace your regular shampoo with this. It will give your hair thickness and make it look fuller. Dry brittle hair can be a total pain in your…wallet as this type of hair is needy and requires a lot of expensive moisturizing treatments and deep conditioners. Even though these products can be helpful, the results are temporary and your hairs is back where you started. The following recipe could be called as one of the best organic shampoo and conditioner treatment. What’s awesome about it, is that it works both as a shampoo and as a conditioner. Mix all the ingredients, pour the liquid in a spray bottle and add a few drops of any essential oil. If you like to experiment different natural ingredients you might fall in love with the next recipe, which work wonders on dry hair. Mix all ingredients together shake the mixture well and done! Did you know that cognac has great benefits for hair? Cognac and egg hair masks never fail to impress but did you know that cognac can be used to create one of the best organic shampoos for normal hair? Add a tablespoon of honey to a half of cup of baby shampoo and a small glass of cognac and apply it on your hair. Let it sit for 5 minutes then rinse. Desperate to get rid of dandruff in the most natural way possible? The following recipe might require a little bit more work and ingredients but the results are worth it. Put all the ingredients in a food processor, turn it on low and let it process until turning into a smooth paste. Use it as any other shampoo. The calming effects of chamomile and the gentleness of pure castile soap makes this next recipe one of the best organic baby shampoo and wash.
Add all the ingredients in a clean container and shake gently and Voila!, a natural shampoo for the sensitive skin of your baby. We haven’t forgot about your beloved pets neither. Dog grooming can be a quite difficult task and you can’t wash them everyday. This organic dry shampoo recipe for dogs will make everything easier and your dog smell better. After you mixed them all together, sprinkle the powder on your dog and gently massage it into the skin using your hands or a brush. Remember not to use to much baking soda at once, a cup for a medium sized dog and half of cup for small dogs or puppies. Don’t use this method to often as the powder can eventually accumulate.